Lay the cheese slices on a work surface and cut out pumpkins from the orange cheddar and ghosts from the white cheddar. Heat up the soup, pour it into shallow bowls and place a pumpkin or a ghost on top. In Recipes-list.com we have selected the most viewed recipes from category - uncategorized . Enjoy the best recipes specially selected for you! 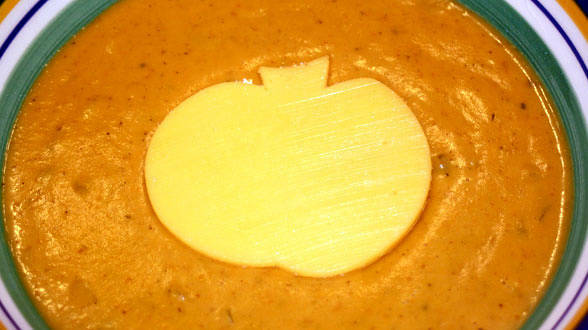 Halloween Treats: Spook Up Your Soup is the right choice that will satisfy all your claims.